I find this Jelly Bean Flip Clock fascinating – not because it’s particularly nice – it looks cheap and indeed is cheap in price. What’s fascinating is that design-wise, it’s almost identical to a Cifra 5 clock we own. The Cifra 5 was an award-winning flipdown clock designed by Gino Valle in 1956 – and it’s a design that’s been copied repeatedly ever since. The original is a very heavy and stylish thing made of steel, with a wood base – but the look isn’t far from this latter day copy. 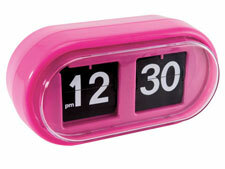 The Jelly Bean Flip clock is available for £7.99. You’ll pay a lot more for a Cifra 5 – but believe me, it’s a worthy investment. Can i order this somewhere? 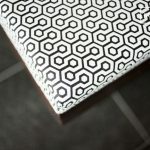 Because i have looked around but i cant find a page where i can buy it.